My wife and I went to this Chelsea location with a Groupon deal. While the food doesn’t really look pretty, we both agreed that it was good. 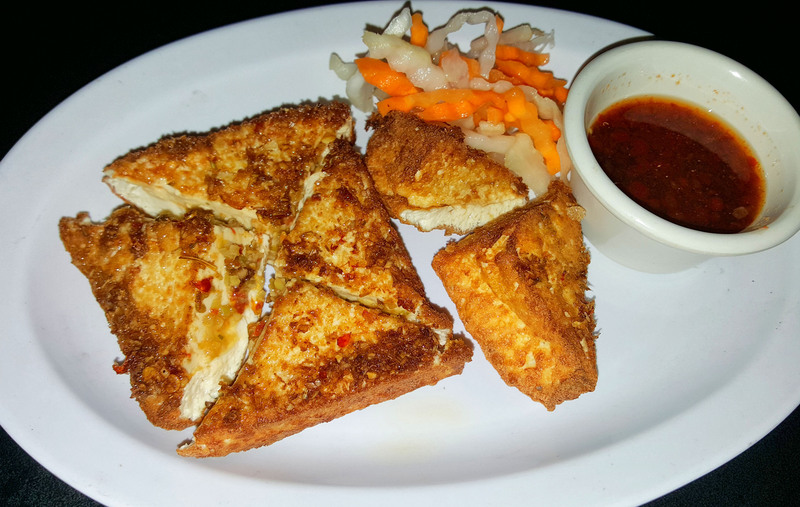 We started with lemongrass crusted fried tofu. 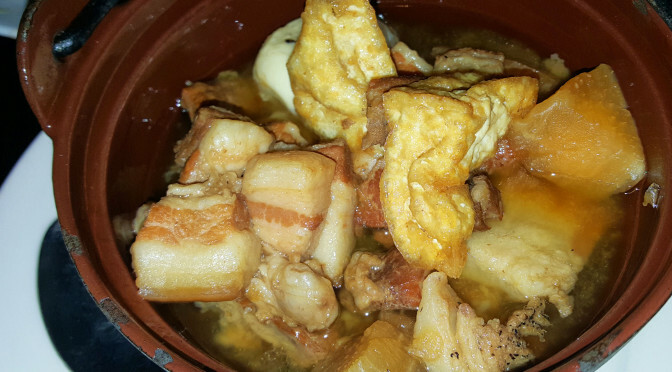 The texture was similar to a silken tofu style that you might find in a miso soup, but a bit more structured. 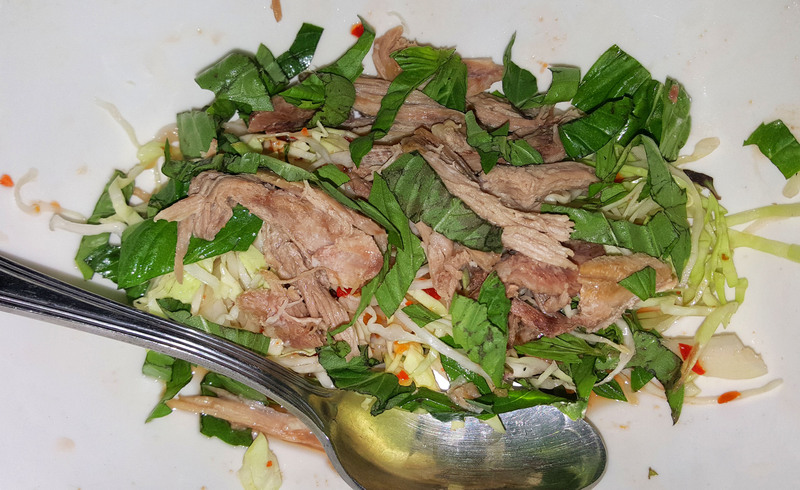 We also had a duck salad. I was hoping the duck would be more crispy. 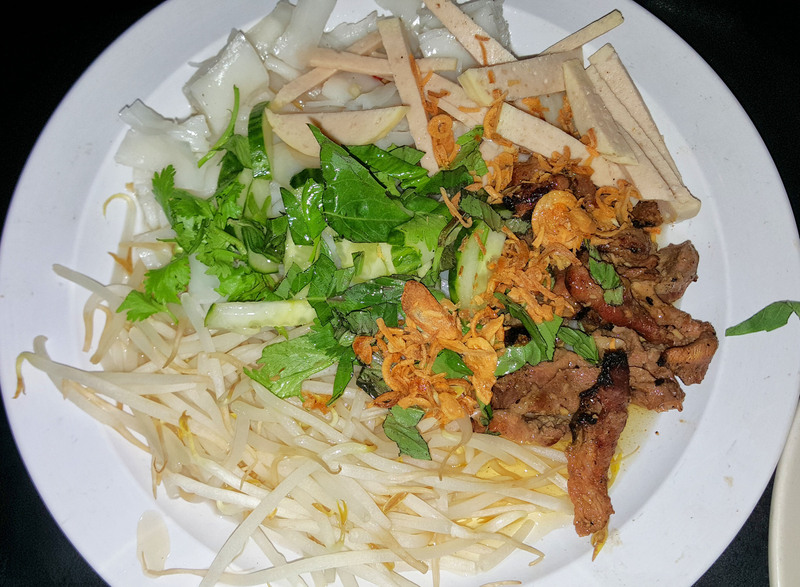 It felt at times that the bits of duck were chewy or overcooked, but the salad was a nice crisp cabbage base that was dressed with a sour fish sauce. 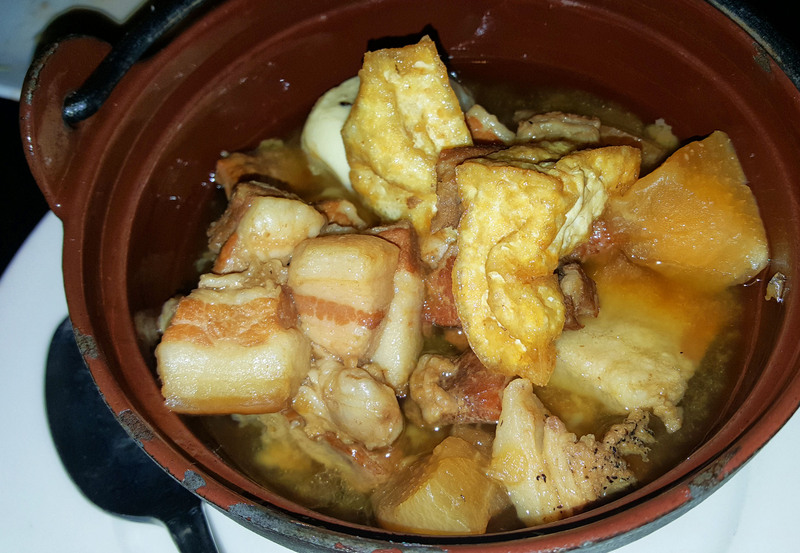 For me, the star of the meal was this clay pot pork belly stew with potato, tofu and egg. Sometimes these can get too salty, but this was just right. The broth was nice with rice as well.